In a surprising statement, the Israeli military confirmed on Monday that it attacked Iranian military positions in Syria. The Israeli Air Force released video early the same morning of what it said was IAF fighter jets attacking "several Syrian air defence batteries after they fired overnight". Among the targets were munition storage facilities, an intelligence site and a military training camp, Israeli authorities said. Such admissions from Israel are rare — the country has in the past refrained from commenting on its covert military operations in Syria. The statement came after Israel carried out a daylight air raid near the Damascus International Airport, according to AP. 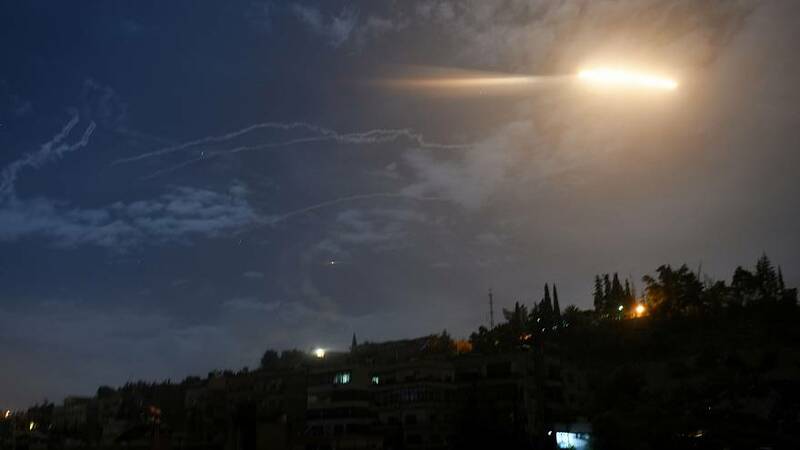 Israeli missile defences intercepted what they said was an Iranian rocket fired over the Israeli-controlled Golan Heights, in the wake of the airport raid. "We have started striking Iranian Quds targets in Syrian territory," the military statement said. Syria's state media on Monday aired footage that purportedly showed air defences being deployed to destroy the Israeli missiles. The statement was issued hours after the purported rocket over the Golan Heights. The Syrian military said Israel carried out intensive airstrikes with successive waves of guided missiles shortly after 1 a.m. local time. However, it added that Syrian air defences destroyed most missiles before they hit their targets. Monday's strikes lasted for nearly an hour and were the most intense Israeli attacks since May, according to the Britain-based Syrian Observatory for Human Rights. It added that 11 people were killed in the strikes. Iran and Israel are arch enemies — the latter has sent thousands of military personnel to support Syria's President Bashar Assad to help him regain full control over the nation. The nearly eight-year-long conflict has seen an estimated 400,000 Syrians killed in just the first five years of fighting, according to the UN Envoy for Syria.